With a little imagination and elbow grease, you can transform just about any container into a whimsical fairy garden. Here you will find lots of great ideas to turn just about any container into a tiny magical world for indoors or outside. 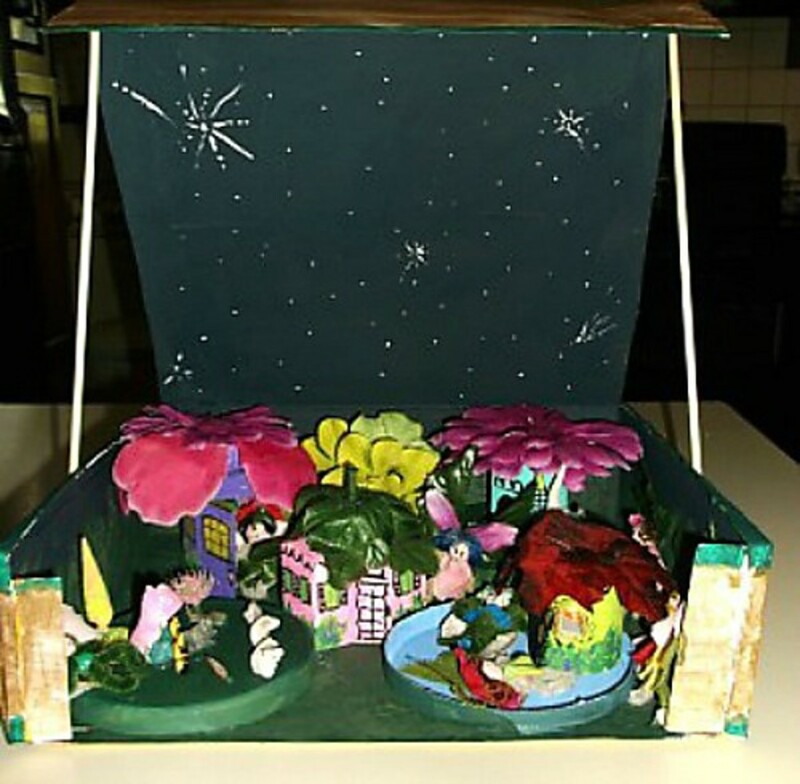 A picnic basket, Radio Flyer wagon, or even an old broken flower pot, can make the perfect home for a family of fairies. 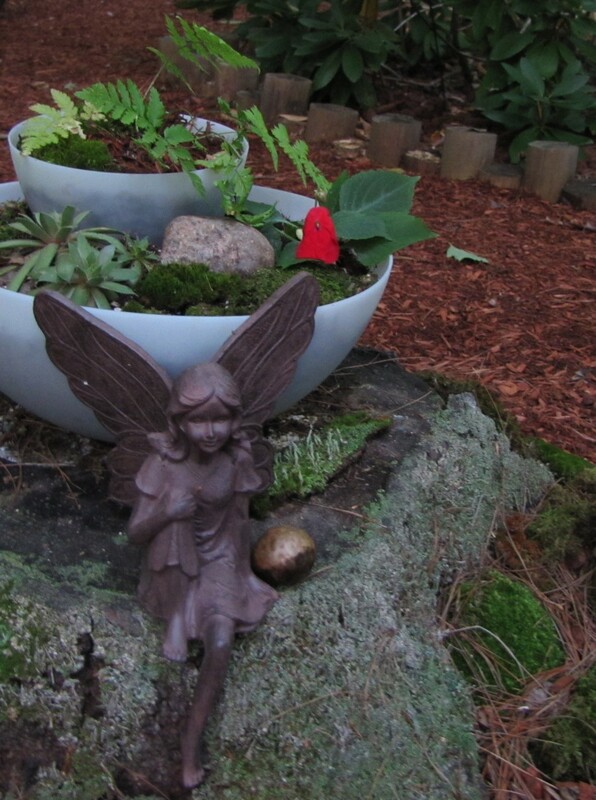 Start by figuring out how much room you can spare for your fairy garden. You also need to decide if you want an indoor or outside fairy garden. 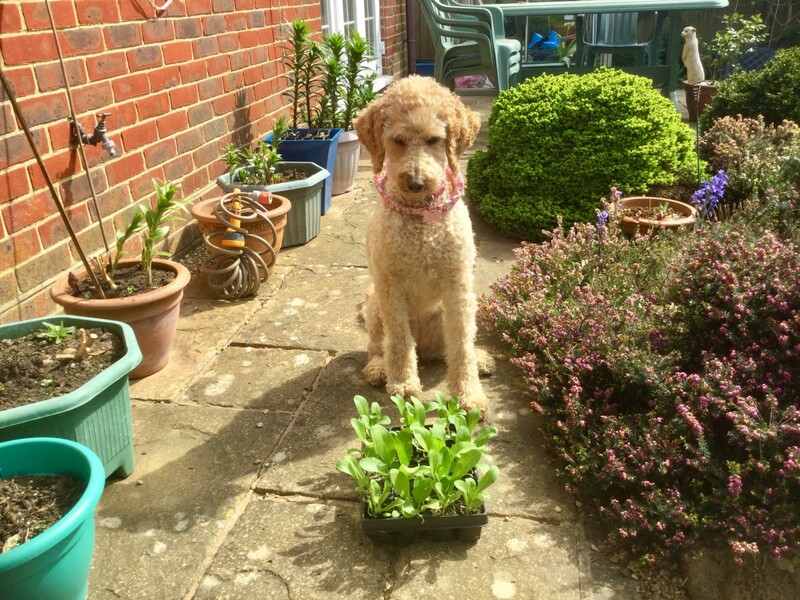 With an outside garden, you can probably choose a larger container. 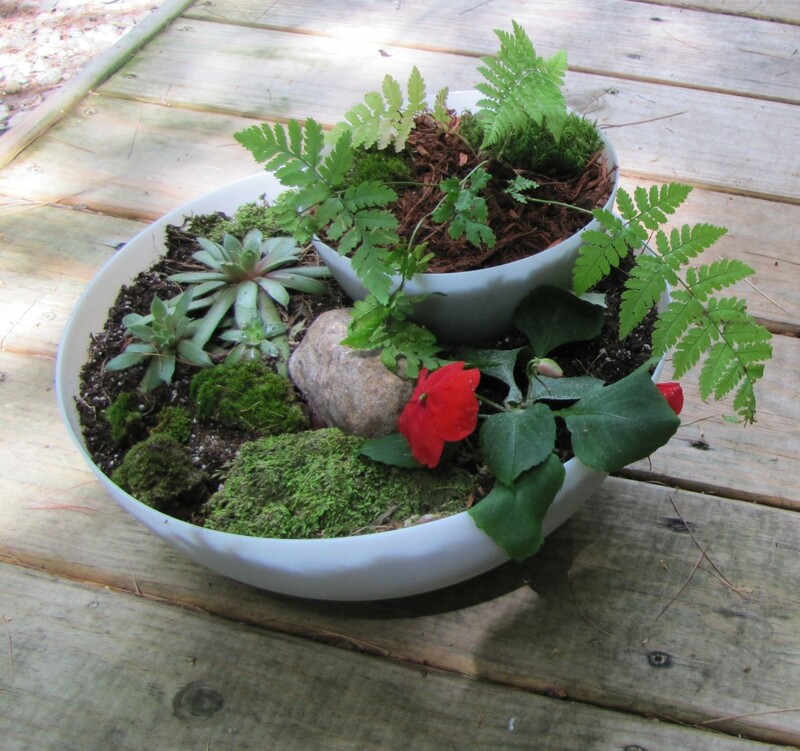 If you don't have a yard, or live in an apartment, a small fairy world in a clay pot can make a wonderful table centerpiece. 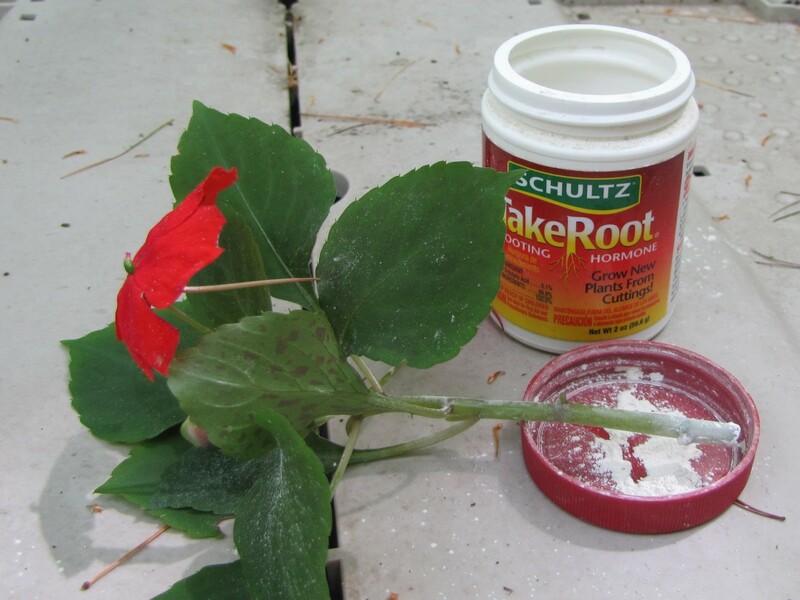 Thrift stores, yard sales or in your garage or attic, are great places to find the inexpensive supplies to help make your fairy garden come to life. So, if you are looking for unique fairy gardening ideas, you have come to the right place. Creating a fairy garden is also a wonderful creative activity to do with your children or grandchildren. When Did Fairy Gardens Start? 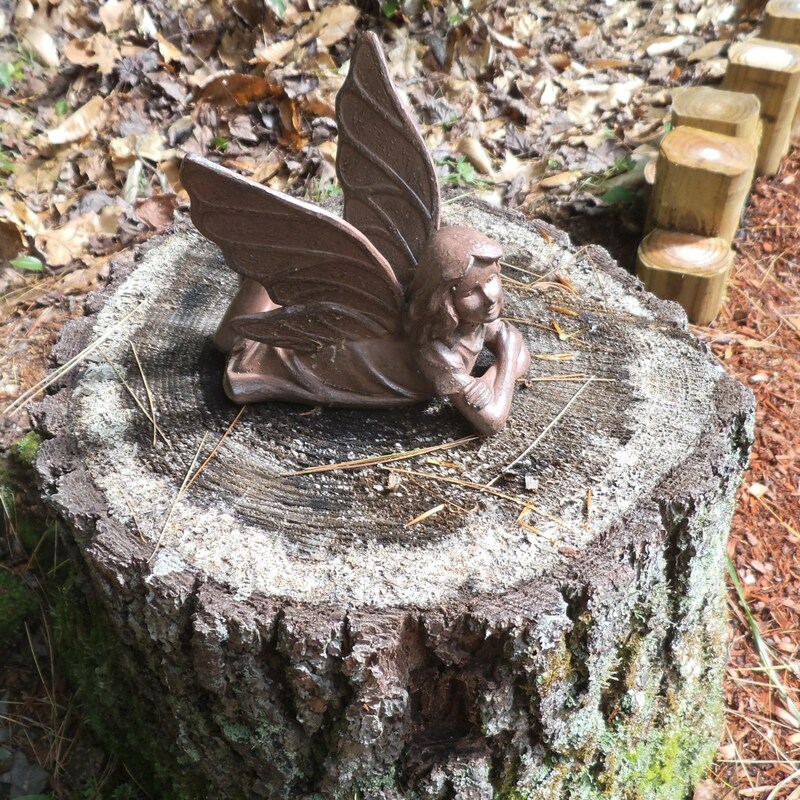 People have been building and creating fairy gardens for hundreds of years, and just about every culture has a folktale about ways to keep the fairies, elves or even trolls happy. 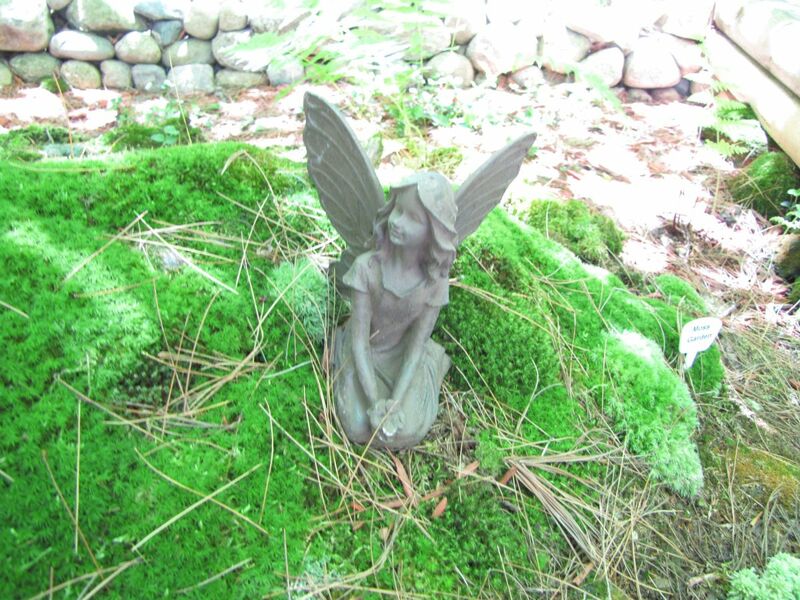 The most common folklore about fairy gardens comes from Celtic folk tales of Ireland and Scotland. Most fairy garden folk lore says that people built fairy gardens as a way to keep the fairies, elves or troll happy so they wouldn't steal human babies and replace them with changelings. means people are tired of just putting some moss and a little house into a flower pot. Now they are looking for new ideas, new ways to show off their creativity. Using unique containers is the way to go! In my family, the story was about elves who stole human babies and replaced them with elf babies, because human mother's milk gave the elf babies a better chance of surviving. The elves did this because their species was dying out because of all of the metals humans used and all of the pollution people caused was making the Elves sickly. Also, humans building too many houses and other buildings was making it harder for the Elves to stay hidden from humans and safe. So, to keep the elves, fairies or trolls from stealing babies, people constructed areas in their gardens just for the Fairies. They also would often leave offerings of milk, candy, and other sweet treats to garner the favor of the Fae. In Irish and Scottish folklore, the Fae consisted of many different types of magical creatures that included Elves, Pixies, Trolls, Banshees, etc... all of these creatures were considered to be types of Fairies or Fae. 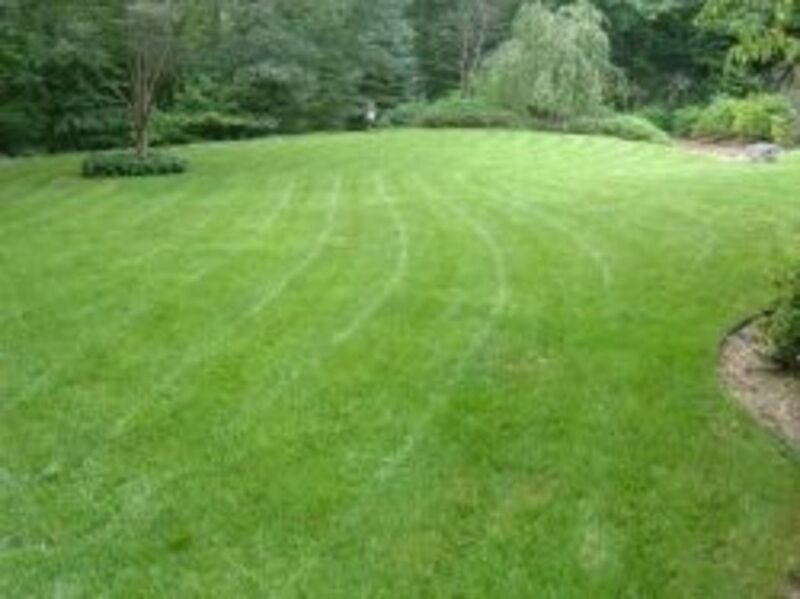 Things that serve a utility purpose in the yard can be converted into something decorative. Use your imagination with these wagons, wheelbarrow and French-style flower stand cart. This one's ready to roll, right into your yard or onto your porch. The size gives you ample space for planting your little garden and add the fairy sized houses and decorative accessories. Sometimes you can find a worn-out kid's wagon at a yard sale. It doesn't matter if it's a little battered or the wheels don't turn or the bottom is rusting out a bit. 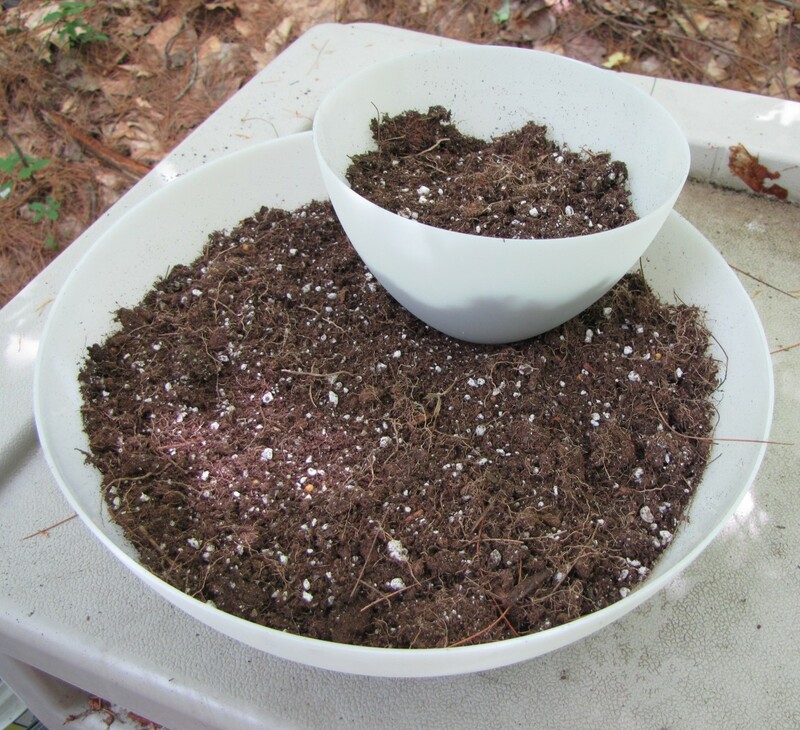 Line it with plastic, then add dirt and start planting. Red Wagon or Wooden Wagon? Which Would You Choose? In the example, they've just placed a variety of potted plants in the small wagon. This looks ideal for creating a small fairy village with several tiny houses, paths leading to each one and then plants about those to finish it off. 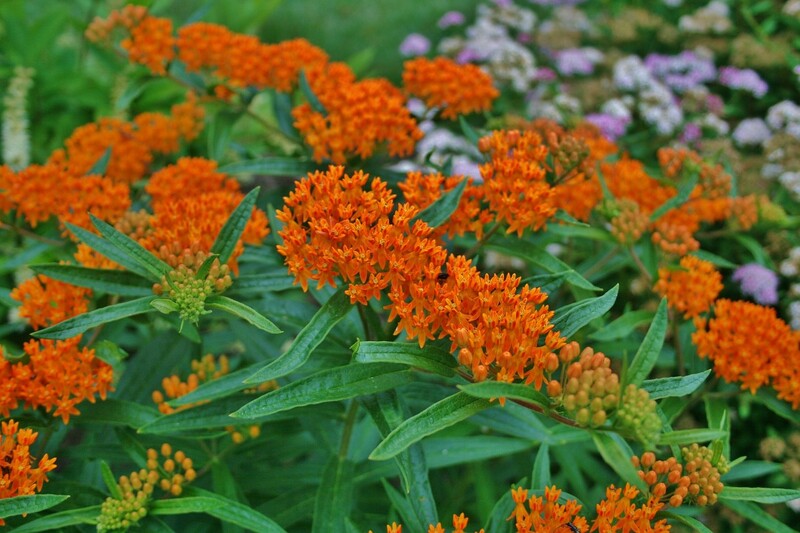 click on each photo below for the planting tutorial. 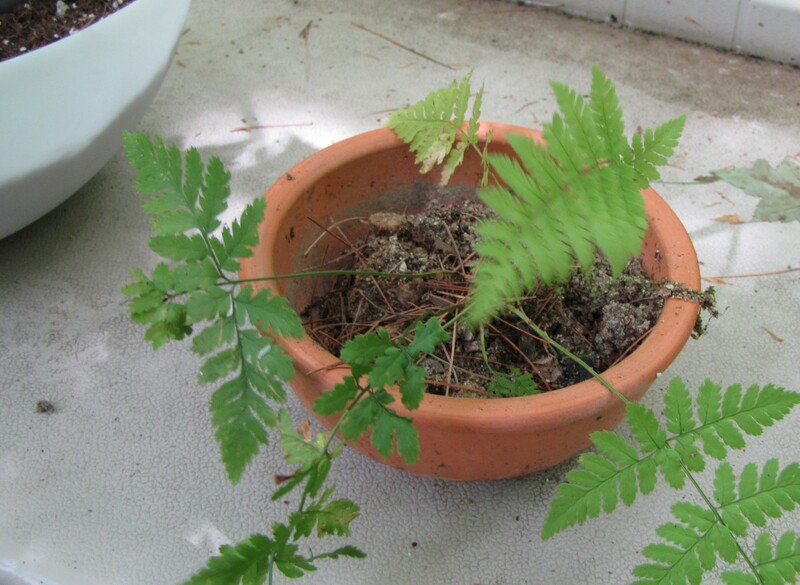 Here's a fern from a shady spot in my yard. It will go in the upper part of the fairy garden. 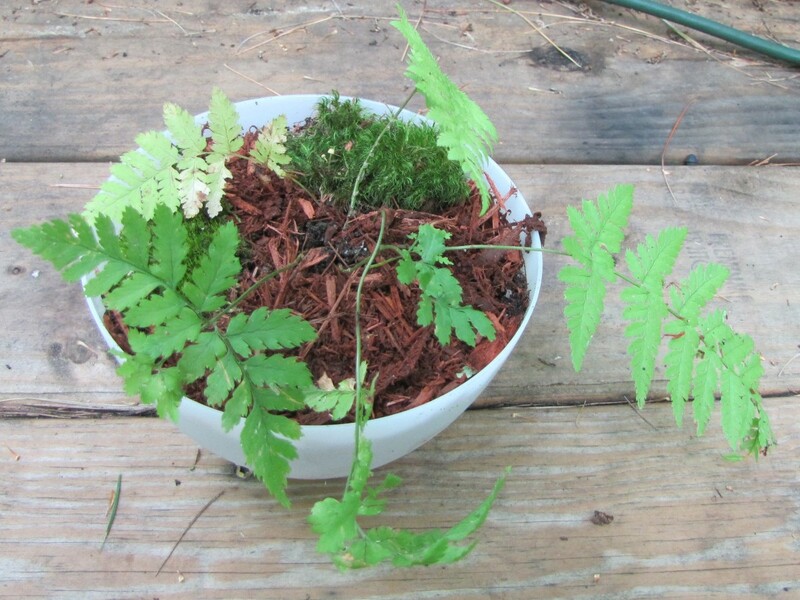 I added some moss and red cedar mulch to the part with the fern. This impatien is a cutting from one of my plants. I dipped it in a rooting compound to encourage it to root in the soil. 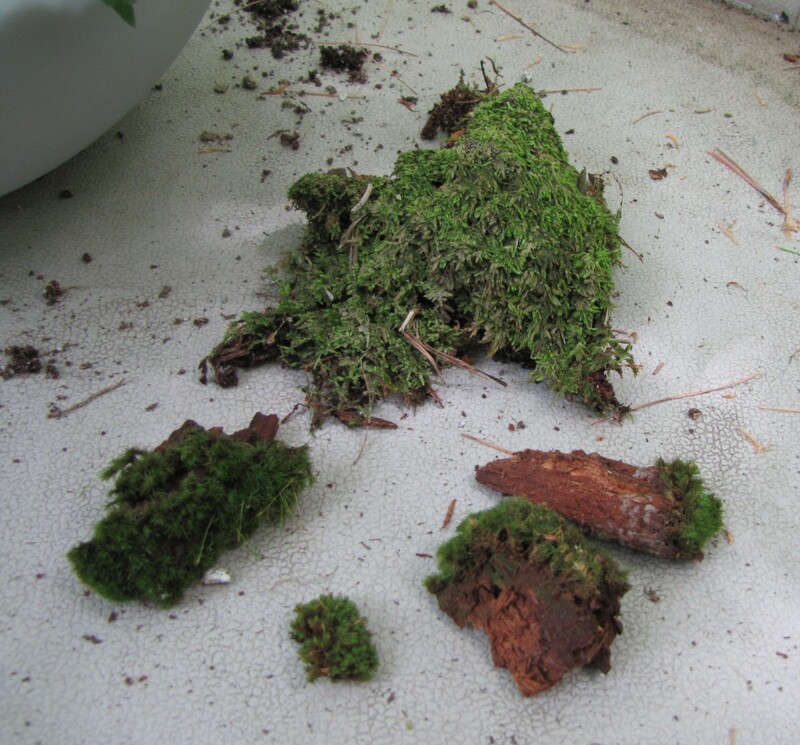 I have a shady yard, so I was able to gather this moss from the base of some trees. Here's the finished fairy garden. I added a stone, some hen-and-chicks and some moss to the lower section. I can picture this one with a fairy figure sitting on a rock. Around her, there are ferns and succulents. I would line this with plastic, then with peat moss, then fill it with lightweight potting soil. Plant your minature garden in it and add some cute touches like a fairy house, a little garden bench and don't forget the miniature fairy figure. Use pebbles to make a path from the bench to the front door of a little house. Fairy gardens are miniature works of floral art that delight both you and your guests, the fairies. 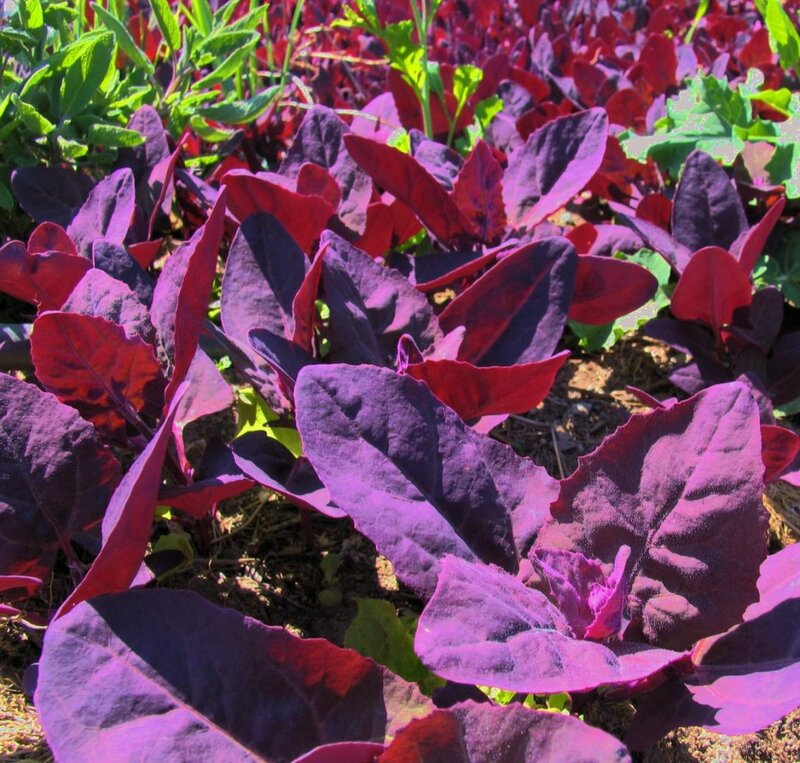 And, while having lots of colorful flowers in your miniature garden is a given, you also want to include plants that provide contrast and structure. . I loved the idea that I pinned to my Pinterest pinboard where a vintage suitcase became the holder for a small garden scene. 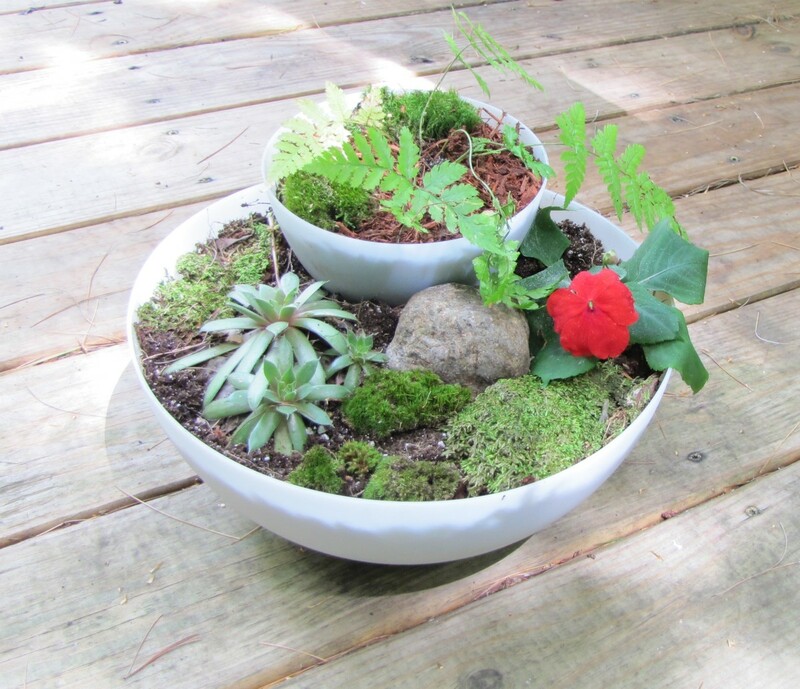 The artful arrangement of a tiny house, pebbles for a walkway, some moss and plants created a delightful landscape just right for any pixies, elves or fairies that wander into your garden. Take a look at the other containers I discovered. Time to get creative! There are all sorts of these available on Amazon or at your local garden center. Isn't this blue one handsome! Just picture it with an assortment of miniature plants, ferns, mosses and a little fairy house or fairy figurine. Which of These Is Your Favorite for a Unique Fairy Garden Container? They used an actual clam shell to cast this replica. It's painted and fired to last a long time. My mind is going crazy with ideas for filling this with soil, tiny plants and maybe a mermaid theme. How about a Fairy Hunt? In my family, we have a tradition that has been passed down for generations, where every summer we stage a fairy hunt for the children. We usually do this in a family member's yard or a semi-wooded public park. The grown-ups, stash little treasures around, so the kids can find them, sort of like an Easter egg hunt. The treasures are usually sweets and dollar store items. The kids have a blast searching for fairies and finding fairy treasure. Fill this with good potting soil, some succulents and ferns with little fairy pathway or accessories. Ideally, you would line it with a zinc box that could withstand water. Probably easier, would be to line it with plastic to protect the vintage looking suitcase. Check around at yard sales and even at thrift shops, I bet you can find some funky old suitcase being sold for very little. These are deep, so you can create a multi-level landscape with some hills and valleys. 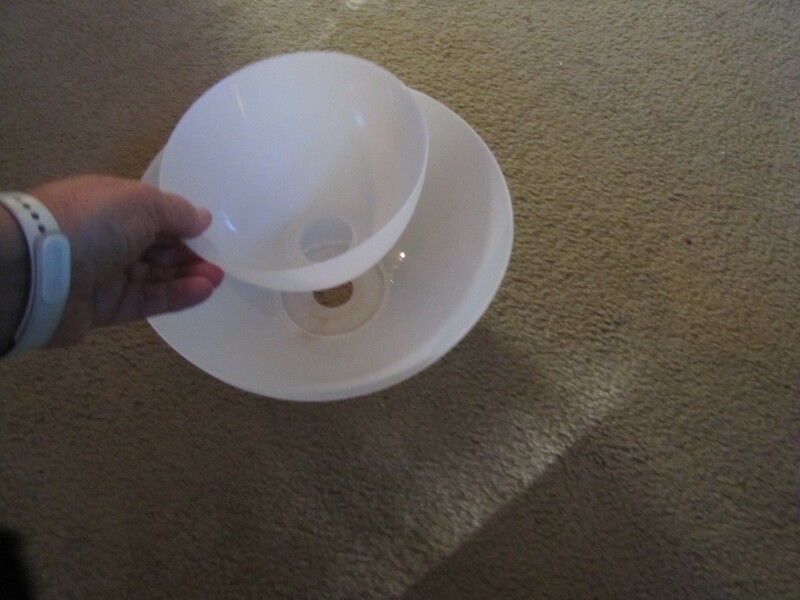 Line it with plastic, poke some drain holes in the plastic. Use the screen cover to keep out the cat and squirrels. Dig a hole so most to the sink is in the ground and just the rim/surround is above the ground level. Fill the sink with dirt for your plants and add accessories. Remove the grill rack, line the BBQ with plastic, make drainage holes. The more rustic, the better. Line with plastic so the wood will hold up longer. I've recently moved and no longer have a garden... but I have a porch! 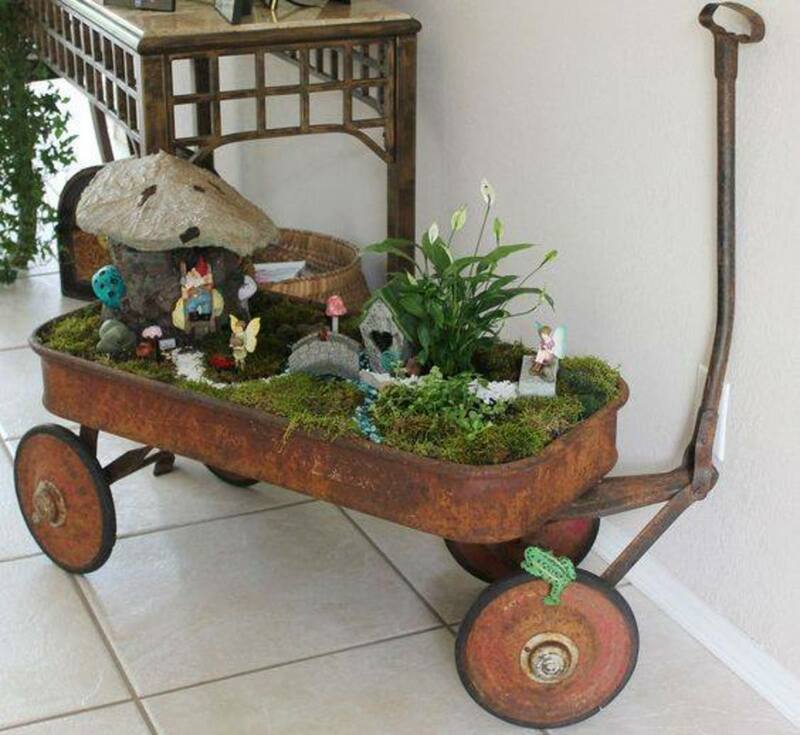 This article has inspired me to make my very own fairy garden :) Maybe I will try the wagon one out. Thanks for writing this charming article, it's giving me some ideas for the spring. My sister has the most magical garden which she has nurtured beautifully. I would so love also to get our backyard molded into a fairy design. It currently is quite natural filled with fruit trees and described by my granddaughter as feeling like you are in a jungle so it would be pretty easy I think. Some very interesting ideas. I like the one for a fairy hunt. Made me think of my great grandson waiting to the tooth fairy and hoping he would get $2's, which in my days we would be lucky to get 6 pence (5cents). 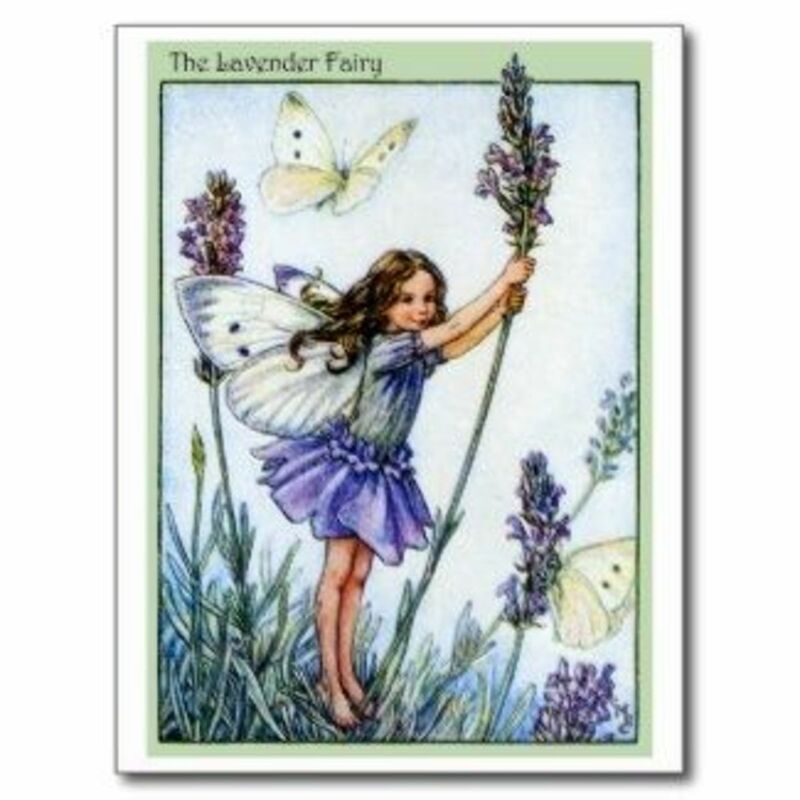 I'm a fairy lover thanks for sharing all these fairies with us, it's nice to feel young at heart. Fairies were always my soft spot. I can almost feel the happy thoughts! A fairy hunt is a great idea for family fun. Love it. A fairy garden is a lovely idea - great for getting the imagination going. I like your ideas for fairy gardens. I used to decorate my gardens with gnomes angels and fairies. I tried it wen i moved in with my mom. She made me get rid of most of it. She only wants bushes and grass. I think a fairy garden would be so fun to plant (if I lived somewhere conducive to such a thing! ).